Clean, comfortable, convenient rooms for rent. Laundry, beauty, tailoring and food services. MARWIN APARTMENTS: 1st floor excellent prices starting at 1'600.- Baht per month, hot/cold shower, furnished. Also daily and weekly rates. Relax in the security of your own home! Phone: 053 / 243 678 and 01 / 951 83 77 for more information. Or visit us at: 12 Kaew Nawarat Road, Soi 3, Wat Gate, Muang, Chiang Mai. Free transportation from bus station, train station or airport. Please call us 053 / 243 678 and 01 / 951 83 77 ! 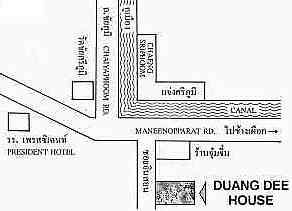 Single room with fan 150.- Baht per day, double room with fan 150.- Baht per day. 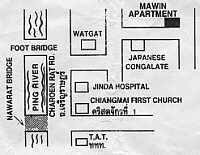 Single room with aircon 250.- Baht, 300.- Baht per day, double room with aircon 250.- Baht, 300.- Baht per day. Sight seeing, trekking organized, travel services, overseas calls. 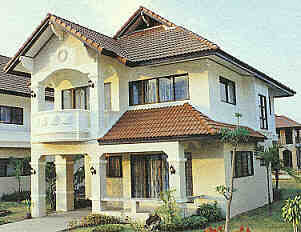 Clean, big and nice furnished rooms. 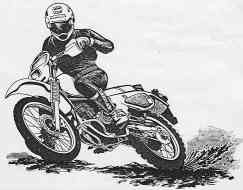 Best motorcycle tours in the North. Beautiful Garden at J.B. House. Comfortable, clean, quiet and cheap rooms at J.B House. Toilet and shower with hot/cold water in every room of J.B. House. If you plan on a jungle trek from Chiang Mai (North Thailand), could not have more to the point. However, for those who are uncomfortable venturing of their own. I would recommend JOHNNY BOY TREKS. Johnny Boy sticks by his pledge of "OFF THE BEATEN PATH" . The best in Chiang Mai area, his guides are familiar with tribal languages and customs. Johnny Boy has all the equipment you need and prices include everything (meals, loading, transportation). Johnny Boy throughly explains everything prior to departure and also discusses aspect of the trek upon your return. To keep his "OFF THE BEATEN PATH" pledge, he is continually scouting new routes. He comes highly recommended from those who have used his services. 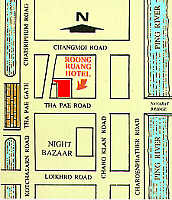 A compact, quiet, clean and private family Garden Hotel, reasonable rate, conveniently located in a central area, front of historic Tha Pae Gate. Diese Seite wurde am 15. 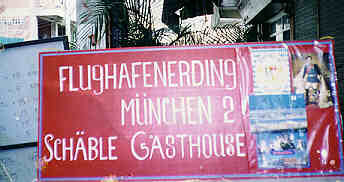 Oktober 1996 gestaltet und zuletzt am 2. März 2004 aktualisiert. This page was created on October 15, 1996 and last updated on March 2, 2004.